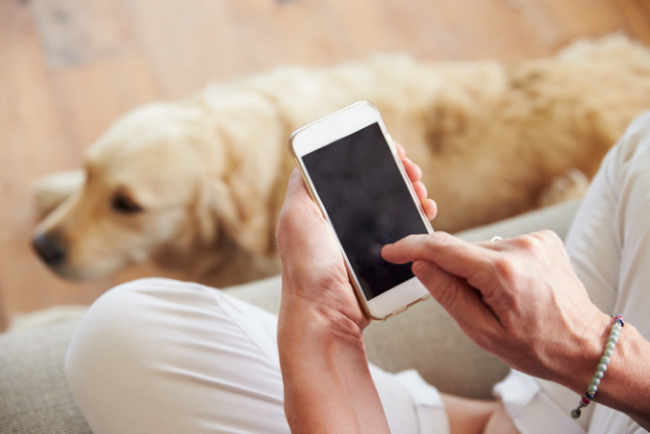 A new app which aims to help pet owners assess their pets’ symptoms is causing controversy in the veterinary community. The app, named Joii, is developed by a Leeds-based company called Vet-AI, which received £1 million in funding to build it, and is set to be released in April. The idea behind Joii is this: when your pet looks a tad unwell, you consult the app by entering their symptoms, which uses AI algorithms to assess what might be assailing them, giving you advice on what to do next. The theory goes that pet owners will become more informed about how to look after their pets’ health, and reduce the number of people turning up to the vet with no idea what’s going on with their animal, or even if they need to be at the vet at all. Anybody who actually knows or works with vets will likely wonder if any sequence of words could be better formulated to appal and insult veterinary professionals so succinctly. Most vets and nurses are familiar with the feeling of clenching their jaws and smiling rigidly as they try to hold their tongue when dealing with the client who feels like they somehow know better than a trained professional. Vets and nurses do know best. That’s why they’re the vet or nurse. It’s how the whole thing works. People who have no training but assume they know better than professionals shouldn’t be encouraged, at any level of society. That’s how we’ve ended up with anti-vaxxers and Flat Earthers and 85% of the political class. One commenter pointed out that the app doesn’t seem to be designed at all with animal welfare in mind, despite the fact that one of the developers is a vet. It’s there to save pet owners money by taking a chance that their animal is fine and they don’t need to pay for a check-up. In certain cases it may prevent an unnecessary trip to the vet, but it could also endanger pets’ lives by wrongly diagnosing something as minor when in fact they need urgent attention. Even if the AI is infallible, people certain aren’t. People who aren’t trained can easily input symptoms incorrectly, or miss small signs that a vet would notice. It’s why GPs of human medicine advise you not to diagnose yourself on the internet. A) disagree with the AI. B) point out there are signs they missed. C) request they come in next time instead of using the AI. We are already battling Dr Google now Joii enters the fray? I’ve already had an owner dx his pet with throatworm (using Dr google) and when I recommended he do diagnostics to confirm, his reply was to put the dog down. I wondered if Dr Google was obliging? Thanks for your comment. I wish I could say that your story was shocking, but I’ve heard of many vet professionals with similar experiences, unfortunately. While it’s somewhat understandable that people turn to Google to assess situations, it’s worrying how many people think this is a substitute for a professional opinion. Our concern is that an app specifically designed to diagnose pet symptoms will further legitimise this concept, which is why we would urge vets to get ahead of this and start warning clients not to take it seriously (and probably not download it at all).